In interviews KISS have always maintained that while Vinnie is a very gifted musician he's also very difficult to work with. 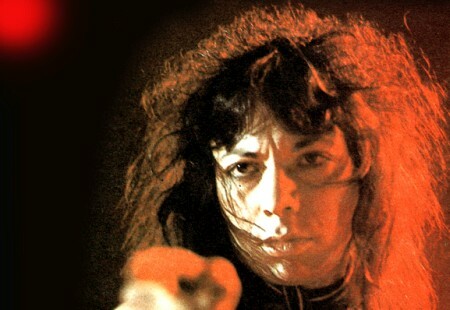 Gene Simmons said of him in the KISS Extreme Close Up video: "Vinnie Vincent? Talented player and about the most self destructive person I've ever met. This guy would hang himself as somebody's offering him the keys to the kingdom." Drummer, Hirsh Gardner told me: "I guess a little back story is needed first. New England was managed by Bill Aucoin who also managed KISS. Paul Stanley produced our first album and we were well known around the office and had a good relationship with the KISS." Despite a having a Top 40 Hit with 'Don't Ever Want To Love Ya', a heavy touring schedule and three albums released, the band never quite had the big time success that many had predicted for them. 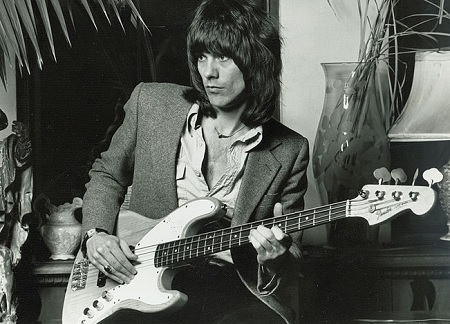 Bassist, Gary Shea told me that, "In the spring of 1982 New England was writing and rehearsing for our fourth album at our studio in Braintree, Massachusetts. Arrangements were made with Todd Rundgren to return and record us at his Utopia Sound Studios in Woodstock, New York. 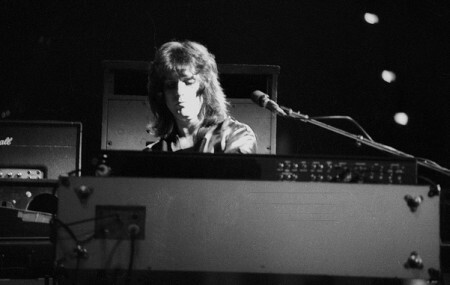 Then without warning, guitarist John Fannon announced that he was leaving the band for personal reasons. "New England immediately began looking for his replacement and got positive feedback from guitarists Charlie Huhn (Ted Nugent), Mike Slamer (City Boy) and Cary Sharaf (Billy Squier) among others. "So when John departed New England Jimmy, Gary and I were looking for a replacement. We had two calls that same week, one from Lennie Petze, then head of Portrait/Epic records and one from Gene Simmons - both about this kid Vinnie Cusano who was looking for a band." Jimmy Waldo says that it was him that made the calls: "I called Gene, he suggested Vinnie. So I called Vinnie." 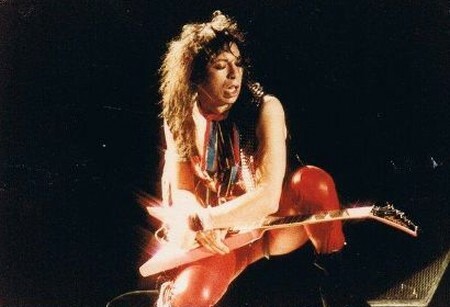 This Vinnie was of course, Vincent Cusano later to be KISS guitarist, Vinnie Vincent. At the time he was a relatively unknown session guitarist and songwriter. He had written music for TV shows such as 'Happy Days' and appeared on the Dan Hartman hit 'Instant Replay'. Vinnie had also recently been writing some material with Gene and later Paul for the upcoming KISS album, 'Creatures Of The Night'. "But I have always believed that egos come in two shades, positive - using your special abilities to move the collective art form forward and negative - moving your art form forward at the expense of others. Based on all that you've heard... which do you think Paul, Gene, Jimmy, Gary and I encountered? I asked Hirsh who had come up the name, Warrior: "I think Vinnie. We didn't care what it was called. No logo or artwork was designed." 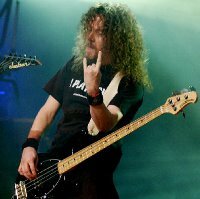 Gary: "Choosing the name Warrior we set off for Los Angeles and began rehearsing with Vinnie at S.I.R. Studios on Sunset Boulevard. 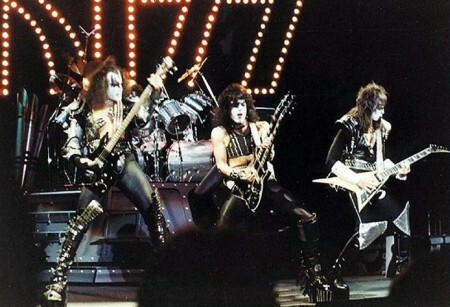 We rehearsed in the day and Vinnie worked with KISS at night at The Record Plant." As the four of them did no live shows together and no press or photo sessions, I asked Hirsh if this was really a band or a just a studio demo project. His answer was emphatic, "No, no shows, photos or press but yes it was absolutely a band. For the short time we were together we rehearsed, wrote, recorded music daily." At that point CBS records offered to fund a demo recording of the band with a view to possibly signing them up to a record deal. They recorded six songs at The Record Plant in Los Angeles: 'Boys Are Gonna Rock', 'Gypsy In Her Eyes', 'I Need Love', 'Back On The Streets', 'It's Not Pretty' and 'Baby Oh Why?'. "I'm a rocker of the modern times, I never I let my engines cool"
I disconnect my telephone... I need love"
Jimmy Waldo agreed: "Vinnie was a great singer but he always felt that to compete we needed some screamer, which was not true at all. Vinnie was by far the best singer HE ever had for those songs, he had more soul, emotion than anyone who sang them in the future, KISS included. And there are indeed many versions to be heard. This song ended up having a very curious history all of its own being recorded by many artists including Vinnie Vincent's Invasion, KISS, Frehley's Comet, John Norum, Jay Miles and even for a Sci-Fi B-movie soundtrack 'Voyage Of The Rock Aliens' by the band 3 Speed. Yet the song never achieved the hit that it deserved with any of these artists. There's links to some of these versions of the song further down this page. 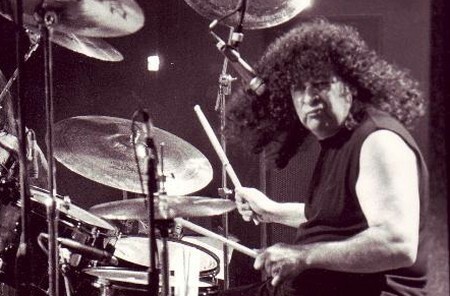 Eric Carr, on WCWP radio in 1989, said: "It was pretty obvious from very early on that he was not really into being a member of a band. He wanted his own band. One of the reasons he didn't stay with us was that he tried to kind of turn things around and make it his band and that's not the way it is." Vinnie admitted as much in an interview in Kerrang! issue 130: "I'm the sort of person who has to be in control of my own art. I'm a problem child - especially with them because I always wanted to do things my way." Throughout this time Vinnie and Hirsh kept working on new material. Hirsh remembered: "We continued to work, write songs, produce and arrange some amazing tracks." Around this period Vinnie spoke to Dante Bonutto at Kerrang! magazine and was quoted in issue 73 as saying: "Hirsh and I have a special magic together. Everything's feeling and sounding so good. I've let myself be really free with the solos and there's tons of them." He might have been free with his solos but not with his vocals. Hirsh told me: "We would constantly be looking for a lead singer, much to my dismay. I would record Vinnie's lead vocals and they were simply amazing. But he was obsessed with having someone who could sing high C's, D's and E's in a natural voice. That's way up there and as a producer, in my opinion the songs did not need that. They were great songs and simply needed a voice with passion and belief. Hirsh: "Most definitely. And if Jimmy and Gary weren't doing Alcatrazz they would have been in the band too. Vinnie also found a series of "screamer" style singers to record with. Firstly, he recorded the album with Göran Edman singing, then changed his mind and got Robert Fleischman to re-record the vocals. 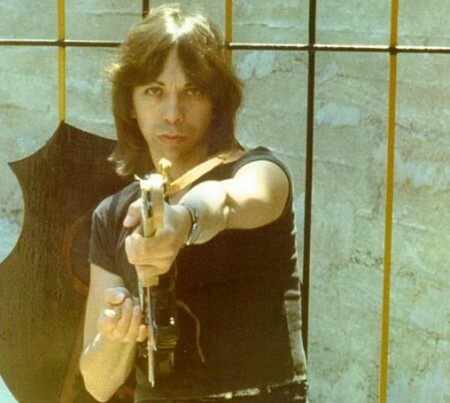 This is the released version of the 'Vinnie Vincent Invasion' album. But he didn't stop there. 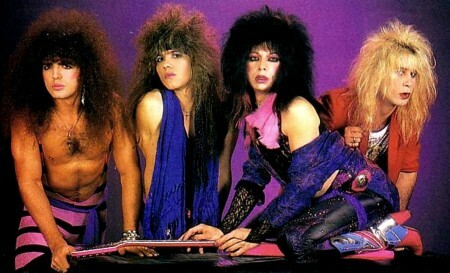 Vinnie changed his mind again, fired Fleischman and got vocalist Mark Slaughter into the band for the promo video recording and touring. 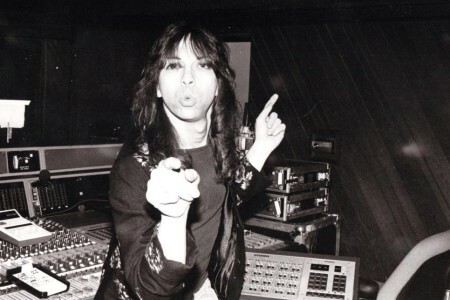 He also started re-recording the vocals on the already released Invasion album with Mark Slaughter. But thankfully someone must have told him to stop as this project was never completed or released. A second Invasion album followed named 'All Systems Go' but the title was not as prophetic as Vinnie had hoped and the band folded soon afterwards. 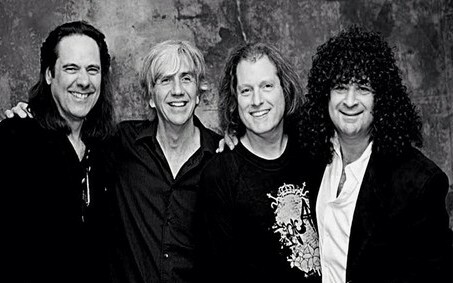 Chrysalis let Vinnie go and took up the option of re-signing the remaining Invasion members as the new band Slaughter. Mark Slaughter told Classic Rock Revisited: "You know, Vinnie was difficult, and the record company was not happy with some of his business dealings." Obviously, he's a monster on guitar but then there is the self-destructive side which eclipses everything that makes him great." We must remember that throughout this article we've not heard from Vinnie himself. 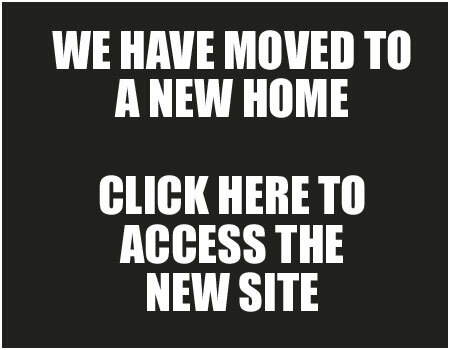 He no doubt has his side of the story and we'd be happy to publish it if he wants to tell us. If you're reading this Vinnie, feel free to contact us here for your chance to set the record straight. Meanwhile New England have recently reformed with Hirsh, Jimmy, Gary and John Fannon. Their first single in thirty years is released this month (as of June 2015). See www.newenglandrocks.com for details. Although Warrior only lasted a short while as an active band, (Hirsh: "It wasn't that long. I thought it was six months but Gary seems to think it was only a few months") their legacy lived on in the songs that they demoed later being recorded by numerous other artists. There cannot have been another unsigned band in rock history that had their songs covered as often as Warrior. I think that alone deserves them a place in the Rock and Roll section of the Guinness Book of World Records. Then let's hear Göran Edman singing 'Back On The Streets'. This is the singer that you'll remember Vinnie first got to record the Invasion album but later changed his mind about in favour of Fleischman and then Slaughter. Göran also later went on to sing for Yngwie J Malmsteen and John Norum. 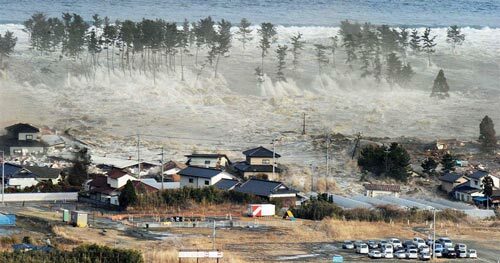 This version is one by John Norum from his album 'Total Control'. Norum decided to cover the song after he heard Göran and Vinnie's demo of it.